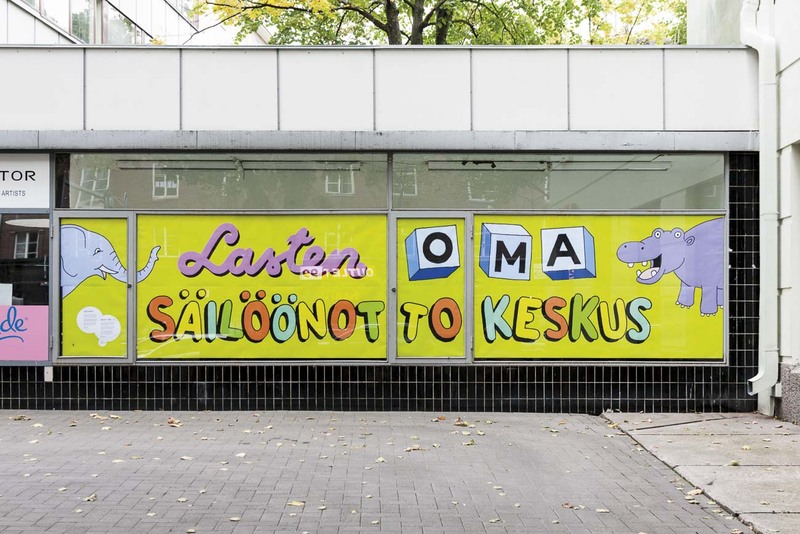 Text in the window in english: Children’s own Detention Centre. The Finnish state puts children behind bars. The aliens act allows the detention of foreigners, adults and infants equally, in order to identify them or secure their expulsion process. Even if you have not committed a crime of any kind you may end up in a detention centre which is practically a prison. In the year 2012 26 children were detained, of whom four had arrived in the country alone. The United Nations Committee on the Rights of the Child has stated that the detention of children is a violation against human rights and that every country should abandon the policy. In 2011 the Finnish government promised to prohibit the detention of child immigrants arriving alone and develop alternatives to detention. The promise was registered in the Government Program, yet nothing has been done so far. The detention of children has not been prohibitred and no alternatives to detention have been developed.